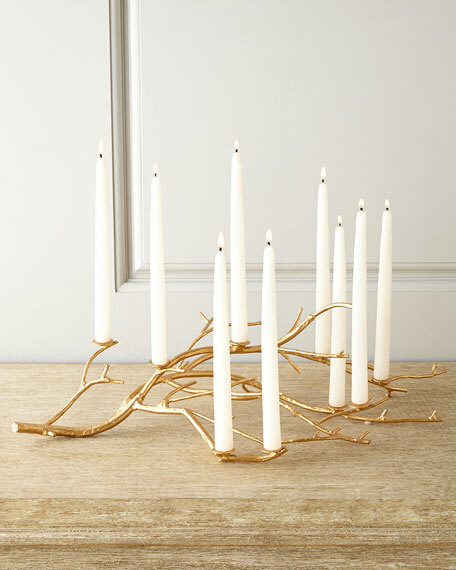 Centerpiece handcrafted of wrought iron. 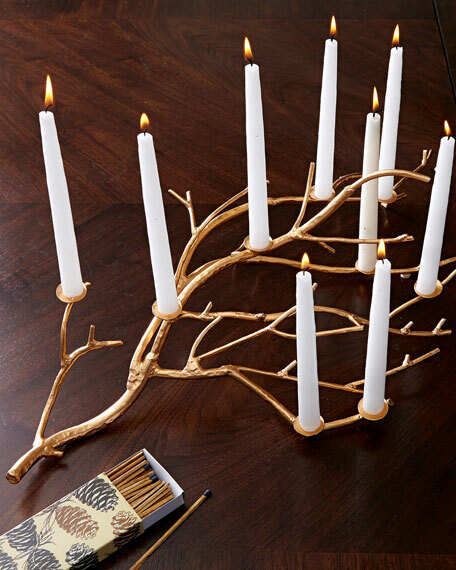 Holds nine taper candles (not included). 24.75"W x 11"D x 6.5"T.